Here’s some good news for unions – a new Gallup poll shows public support for unions at its highest point since 2003. AFL-CIO President Richard Trumka and American workers everywhere spent Labor Day celebrating the positive climate for unions. According to a report from NPR, this is a significant number. Especially when you consider that another Gallup poll from eight years ago showed that less than half (48%) of Americans supported labor unions. People are finally realizing that unions only fight for public workers in an economy where most rules and power moves are made in the interest of corporations. Of course, this doesn’t come without any challenges. Union leaders are facing things like tougher environment for organizing, the ongoing spread of so-called right-to-work laws that make it harder for unions to collect dues and grow membership by allowing workers to not join the union in workplaces that are represented by a union. The government isn’t helping either. The Trump administration has been less than labor friendly despite promises to bring back manufacturing jobs that date back to the earliest days of Trump’s campaign. “His promises in the campaign haven’t matched up with what he’s done,” said Trumka. 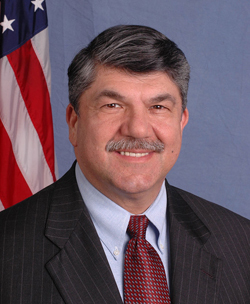 Trumka says that President Trump is attacking the rights of public workers in so many ways. “Health and safety regulations and overtime regulations that would have brought overtime to 4 or 5 million people. CLICK HERE to listen to the NPR Report.